Online retailers Amazon and Flipkart have launched studio-on-wheels solution to attract a number of small and medium businesses to sell their merchandise on their platforms. In the past 2 years, Amazon India has really scaled up its operations and has grown up to be one of the biggest E-commerce companies in India. Flipkart has also been doing quite well and has been in the pole position for some time now. Both Amazon and Flipkart have their own ‘Sell on Amazon’ and ‘Sell Online on Flipkart’ dedicated seller platforms which provide step by step registration and authorization techniques for sellers to sell their products online through these websites. Honoring the Digital India campaign, Amazon and Flipkart are now looking out to approach sellers through ‘Studio on Wheels’ to give them information about benefits of selling online and answer their apprehensions. Amazon’s studio-on-wheels solution called Amazon Tatkal intends to offer sellers services such as registration, imaging and cataloguing apart from basic seller training in less than 60 seconds on Amazon.in. Amazon India claims that the solution is designed to empower interested sellers to begin selling their merchandise on Amazon in real time and experience the benefits of e-commerce business. Company’s professionals will reach out to such sellers and address their apprehensions to make them comfortable about the initiative. Flipkart has introduced Spotlist in cities such as Bengaluru, Mumbai, Chennai, Pune, and Hyderabad. Spotlist is a similar service a Tatkal, except the company professionals will provide complete cataloguing and listing services to the sellers at their home or workplace. 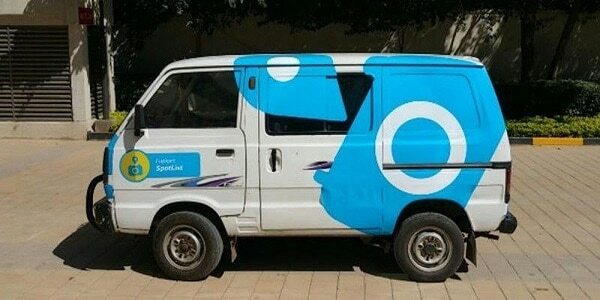 Flipkart will be sending out Blue and white ‘Spotlist’ adorning cars to sellers to help sellers with listing their products online directly. The company said that the service would also be available for freelance wedding and party photographers. They would be able to register as cataloguing partners, reported the publication. The company was quoted by Business Standard as saying: “It will give instant access to list their products on Flipkart in a timely and professional manner. Spotlist enables sellers to avail these processes conveniently on their premises.